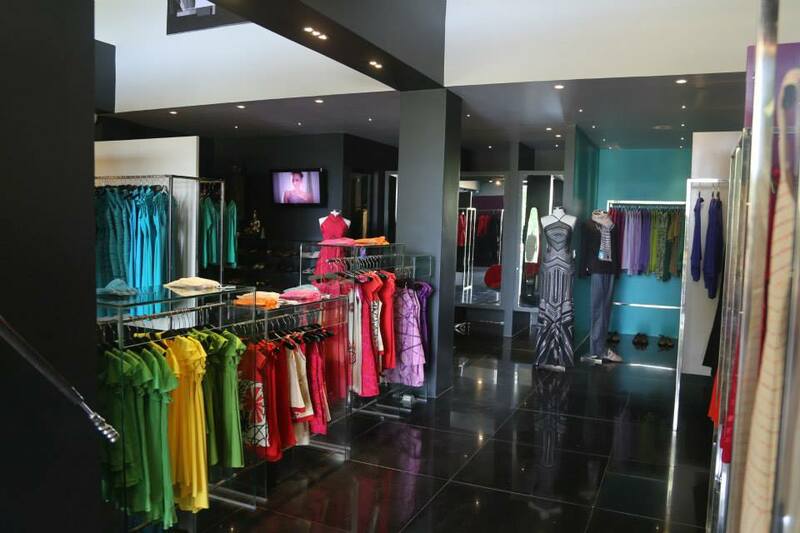 Ambre Boutique is a clothing store offering high-end man’s, ladies’ and children’s clothing created by local designer Romyda Keth. Stylist Romyda Keth was born in Cambodia in 1966 and moved to Prague when she was five. She studied at the Paris School of Fine Arts and the Asmod School of Fashion Design. In 1994 she returned to Cambodia and set up a small workshop to continue sketching and designing her special creations, using very unique local handicrafts and techniques. Ambre Boutique in Siem Reap is located near the Royal Palace Gardens. When walking into this shop I didn’t know where to look first. The mix of colors and patterns overwhelmed me. I fell almost immediately in love with a red dress. Glancing at the pieces and the details I started to understand and feel Romyda Keth’s love for fashion. The shop manager in Siem Reap will give you excellent advice in finding the right outfit for you for any occasion. Also here they have a broad choice of women, men, children clothes and accessories. The dresses have a huge amount of details in beautiful fabric.